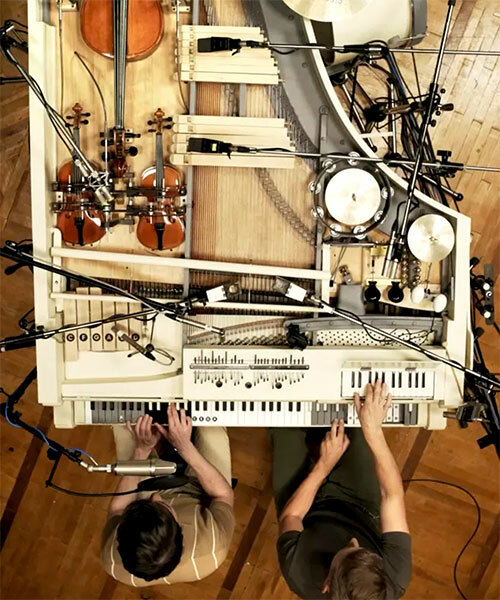 formed in 2010 and based in kiev, ukraine, brunettes shoot blondes is an indie rock band that just transformed a 19th-century piano into a machine that accommodates 20 different instruments. 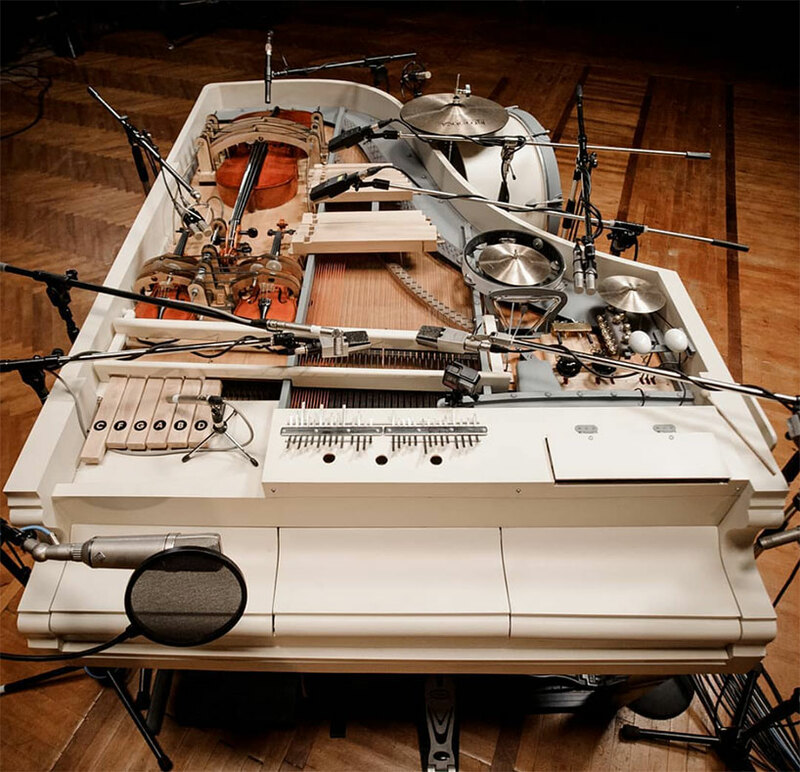 featured on their latest video for the song ‘houston’, this analog hybrid is divided into three sections: the central one which contains the actual piano; the left section with the violas, cello, organ and xylophone; and the right section where you can find all the percussion. 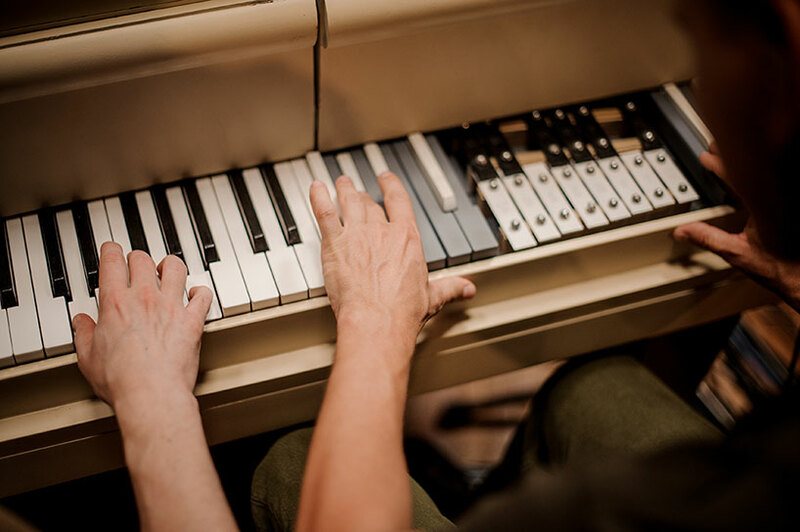 even if the band didn’t know, the best thing about the vintage piano they found was that its body had only two parallel cast-iron barriers with thin wood and lots of free space — something that doesn’t happen with modern pianos that have a cross-shaped string holders that leave little space. the band then started to transform the piano, leaving the central section the same, except for a few strings in the lower part which had to be replaced, saving only the middle register strings. for the bass tones, they replaced the first piano section octave with bass strings. also, the sustain pedal moved to the left, leaving extra space for someone sitting to the right. 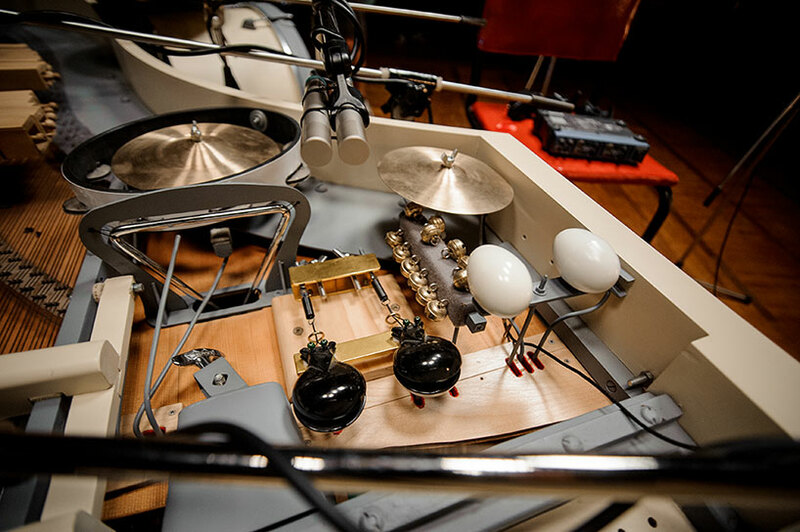 the right section now holds all the percussion instruments and it uses the same mechanism as the one used for the piano section: whenever pressing certain keys, the hammers struck the other side. only, instead of hitting strings, the hammers now hit tambourines, cymbals, etc. also connected to the keys are the shakers which produce the sound twice: on press and on release. finally, the left section features two violins, a cello, organ and harmonica, all working from a rotating a sewing machine’s mechanism. in case of the strings, it makes little wheels spin very fast when laying down on the neck, therefore producing a sound that imitates the bow rubbing. 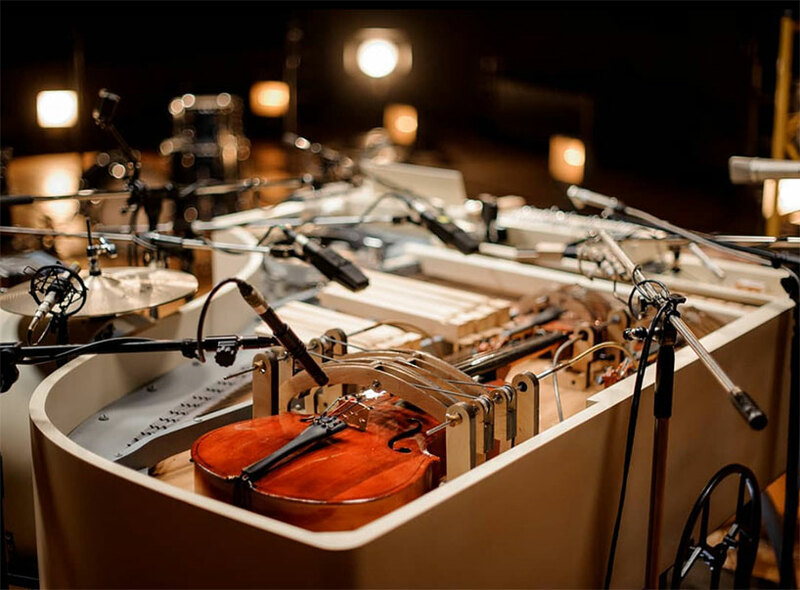 when recording the video, the band did everything live, with 17 small and mid-sized microphones recording the instrument simultaneously.